I am off on vacation!! Ummm, wait. Didn’t you just get back from almost two weeks of vacation? (embarrassed look on face and a defeated nod). Yes, I did just get back from Spokane on Wednesday night after seeing my family. But now it is time to spend a few days with my other family. I will be attending vacation at Hilton Head with Sidney’s family (a couple babies have been added since this photo was taken in October). Pretty soon Sidney, Sloan, and I will be taking off in the car to Hilton Head, S.C., for a relaxing vacation with my wife’s family. An island, Hilton Head is known for beautiful beaches, prime golf courses, and abundant wildlife. Sid’s parents have rented out a beach house for the Mathis clan to enjoy over the next week. Although I would like nothing more than to stay through next Saturday, I will be returning solo to Myrtle Beach late Monday night so I can get back to work. Sid and Sloan will stay for the duration of the vacation. I am excited for the next few days! Hilton Head isn’t Bill Clinton’s favorite vacation spot for nothing. I have heard the place is beautiful and I am excited to experience something new. Most of all, I am excited to spend time with Sidney’s family. Should be a fun ride! Don’t Blink. Yesterday, I returned to Myrtle Beach with a fuller heart. A 13 day stay in my hometown made me feel refreshed and inspired. You see, summer in Spokane is special. The mornings are brisk, the days are hot, and the nights are cool. It stays light out late and you don’t have to worry about mosquitoes. You sleep with the windows open and you eat outside. This was exactly the backdrop that Sidney, Sloan, and I enjoyed during our duration in Washington. Before we arrived in Spokane, we had to travel to Spokane. This is Sidney and Sloan on the plane (Sloan did great). 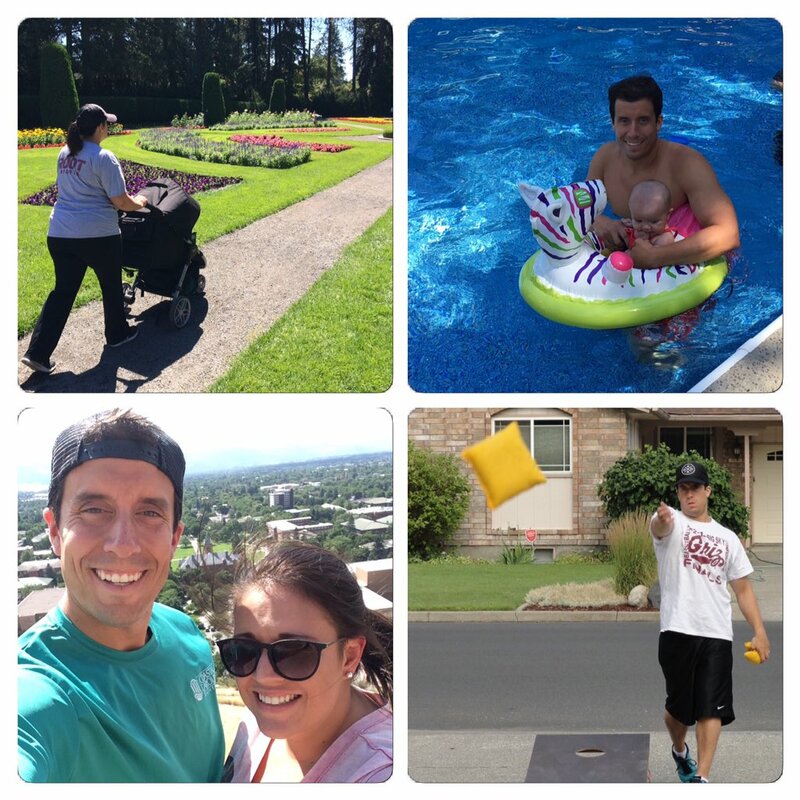 Over the course of almost two weeks in my hometown, I had the opportunity to experience some big events with my family. As you know from previous blog posts, my little family traveled to Spokane to be with my big family for my parents’ birthday party and the birth of my nephew. My mom and dad’s 60th bash was a blast, a truly fun and memorable event. Then, a couple days later, my sister gave birth to her son, John. 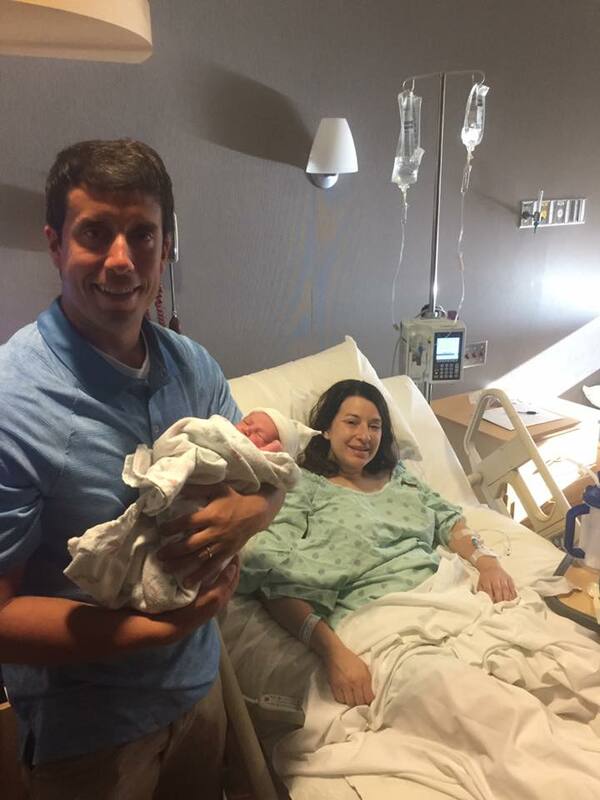 The delivery went smoothly and both mom and baby left the hospital healthy and happy. This photo is of my sister and I with our respective children. I was glad we could be in Spokane for the birth of John. So yes, the two major events that motivated our travel out west went great. However, we didn’t just twiddle our thumbs for the other 11 days of our trip. While in the Pacific Northwest, we managed to do the following: engaged in an epic water balloon fight, competed in a corn hole tournament, hit up the area’s major casino, watched “Dunkirk” at the theater, dueled it out at the bowling alley, enjoyed drinks at a restaurant that overlooked the local country club, made a spontaneous trip to Missoula, played pub trivia, swam in the pool, strolled through Manito Park, drank the best white chocolate mochas Spokane has to offer, and attended story time at the North Spokane Library. Among all the fun things we did, we swam in the pool (top right), played in a corn hole tournament (bottom right), went to Missoula (bottom left), and toured Manito Park (top left). But aside from all the “fun” we had out and about, the best part of the trip was just hanging with family. Whether it was sitting out on the front porch with everyone, watching the faces of my parents light up when they held Sloan, visiting my sister’s family at their house, enjoying delicious dinners at the dining room table, laughing hysterically at old home movies, sitting down together to watch a Redbox, cheering on the Mariners, or swapping stories over beers, the time we spent with each other at my parents’ house (and my sister’s house) was the highlight of our time out west. Just hanging out and talking in my parents’ front yard was a highlight of the trip. I will always remember this trip by how we celebrated some very special people. First, it was my parents. At the party on that first Saturday, we had the opportunity to really recognize the amazing lives they have led thus far. 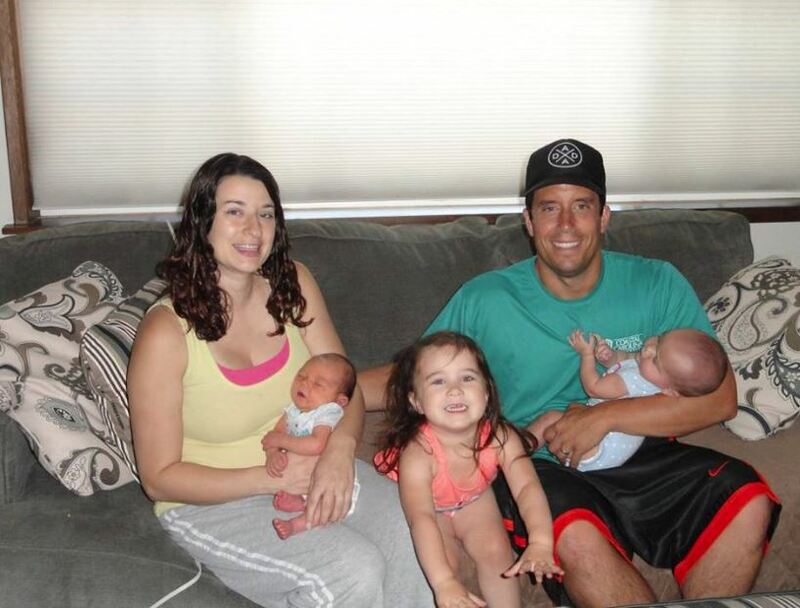 After the bash/reunion, it then became a showcase for the two newest members of the Reser family, Sloan and John. 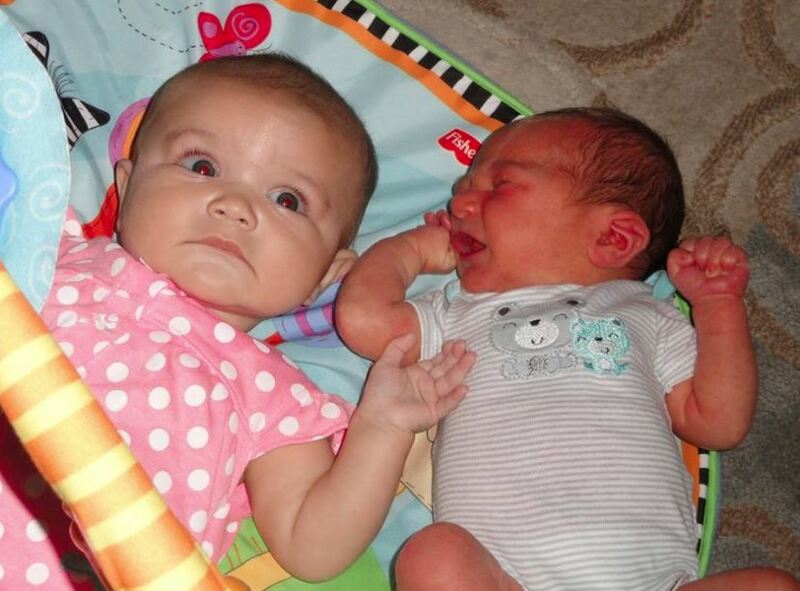 It was so nice to have two beautiful babies for everyone to adore and enjoy. As I saw tears of joy shed from family members when they would hold Sloan or John, it made me realize what life is really all about. It was so special that Sloan and John got to spend time together. Speaking of tears, I know it was tough for my parents to say goodbye to Sloan at the airport yesterday morning. It was very tough for Sidney and I as well. However, I now have a more calming feeling when the time comes for me to hop on a plane and leave my family. I realize that even though I am heading to a location 3,000 miles from my mom, dad, brother, sister, and others, there is a certain fact that gives me comfort: Sloan is a product of them all. The blood of my family is inside Sloan and therefore I am never too far away from my roots. My mom and dad are tremendous parents and amazing grandparents. They treated us so well this trip. 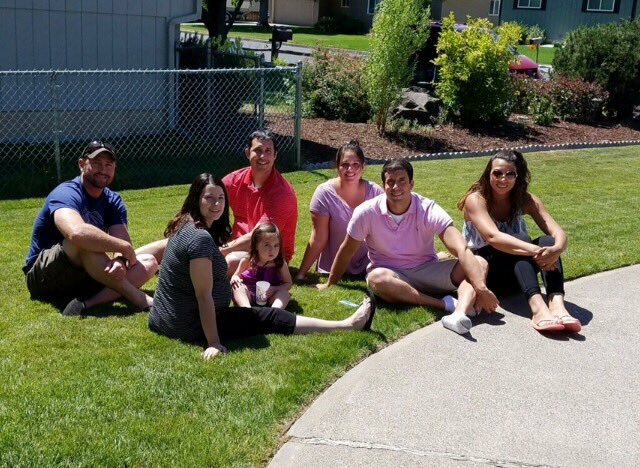 My little family can’t thank my parents enough for all they did for us when we were in Spokane. As always, we were treated very well. Needless to say, we can’t wait to return for Christmas. Don’t Blink. Our (Newest) Nephew is Born!! 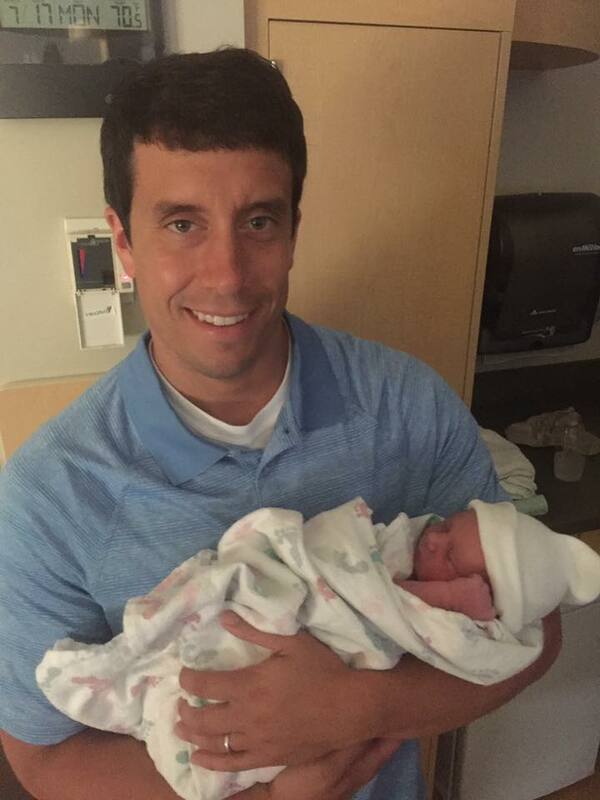 On Monday afternoon, our family was given another gift from God. At 3:37 p.m., my sister gave birth to her first son, John Thomas Koutecky, at Sacred Heart Hospital in Spokane, Washington. Sidney, Sloan, and I were right there to welcome Little Johnny just moments after he entered the world. Perfectly healthy and very handsome, it was so amazing to hold him. This photo was taken right after John was born on Monday night. First off, I am very proud of my sister. She did so well carrying John for nine months, the whole time which she checked up on Sidney during the final months of her pregnancy and Facetimed us nightly once Sloan was born. Although she was carrying her own child, she unselfishly put our situation before hers. That is just the type of person Miranda is. With John’s birth, it caps a wild four months for us. Sloan was born in March, Henry was born in June, and John was born in July. Our family has definitely grown. Just yesterday, we looked at a photo from our wedding in June of 2016. The image was predominately of our two families. Sidney and I looked at each other and said, who in this photo would have thought that just a little over a year later there would be three new babies hanging around? Several of the people in this photo would be impacted by three babies that would enter the world in just 13 months. What a blessing that Sloan gets to be around John for the first week of his life. Although they will have no memory of their initial time spent together and although thousands of miles will soon separate them, they will be special cousins. Sloan will brag that she has a west coast cousin and John will say he has a sweet southern cousin. They will always look forward to their visits together. Thank you God for John’s safe delivery and for Miranda’s health. Also, thank you for letting my mom keep her sanity through a very busy week. Don’t Blink. Since we stepped off the plane, it has been non-stop fun here in Spokane. However, I have managed to find a few minutes this morning to write down a few thoughts. Since I missed my normal Thursday Rundown, how about an abnormal Saturday Rundown? We Have Arrived – On Wednesday night we arrived in Spokane just before midnight. Although our luggage was missing (we would pick it up the next morning) it couldn’t take away from the joy of reuniting with my parents. Although we have not even been in Spokane for a full 72 hours yet, it has already been a nice and busy time. Today is a big day! We host my parents’ 60th birthday party/Reser family reunion. This afternoon, my parents’ backyard will be swarming with people. Delicious Donuts…Retro Style – On Thursday morning, my dad and I went to pick up a sweet breakfast for the family. 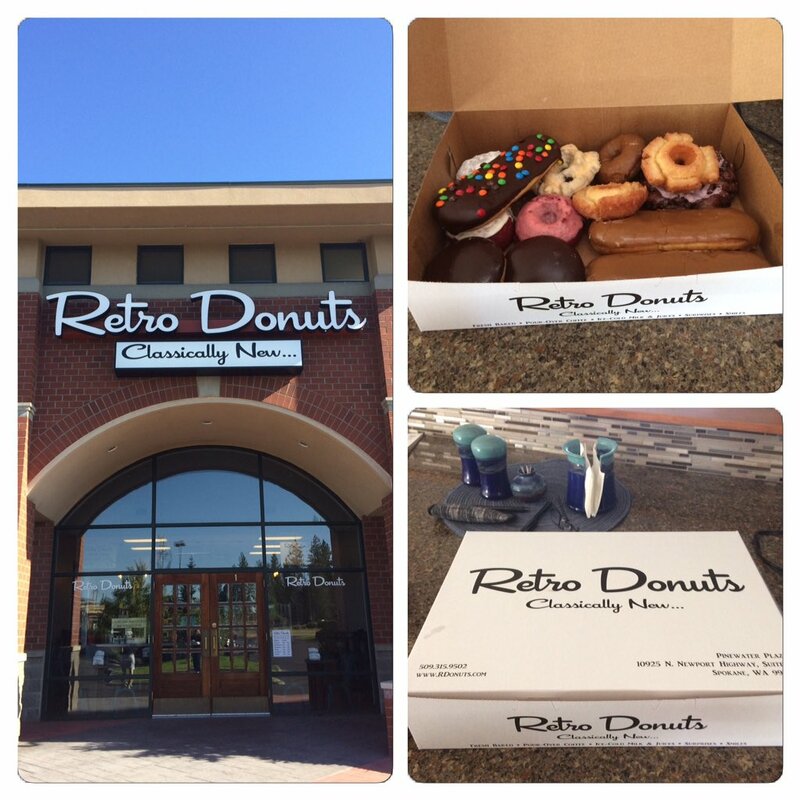 We stopped at Retro Donuts, a brand new place right next to our house. The donuts at this place definitely aren’t your typical grocery store selection and they easily blow away Krispy Kreme. How good are they? Well, Sidney and I went back AGAIN this morning. The management is awesome and the donuts, especially the fritters, are huge and fresh. If you live in the Spokane area, please pay a visit to Retro Donuts! Change in Due Date – Wondering why I am not posting photos of my new nephew on today’s blog post? It is because the little guy has not made his appearance yet. Doctors moved my sister’s delivery from yesterday (Friday) to Monday. Although the change in dates is probably messing with my sister’s mental preparation just a bit, she is happy that she will now be able to attend today’s big party. If my readers don’t mind, I would still like to ask for your continued prayers for a safe delivery. 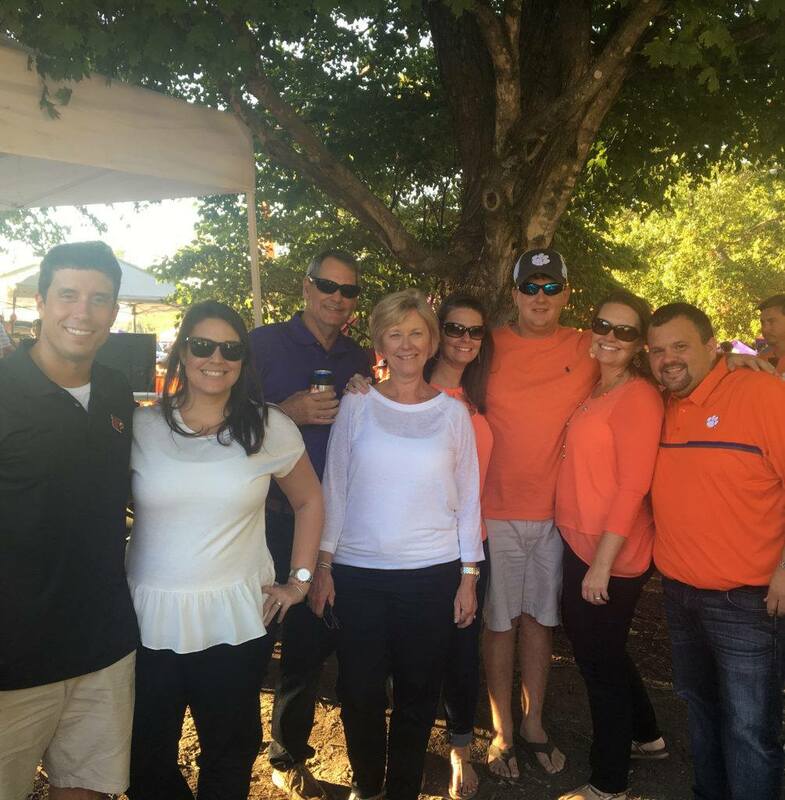 Sloan Meeting Special People – Sloan has been extremely busy meeting new people over the past few days. It was a big deal when she finally met her Aunt Miranda. She has also found a new best friend in her cousin Mikayla. Although Mikayla is yet to turn 3 years old, she loves Sloan and watches out for her. 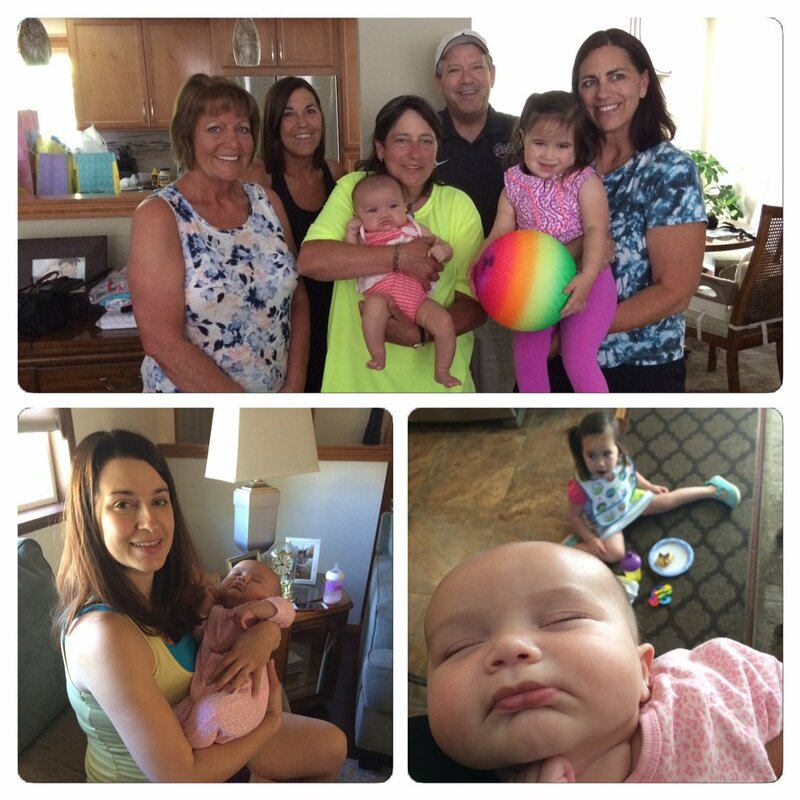 Yesterday, Sloan met four of her great aunts. However, perhaps Sloan will never be as social as she will today as we welcome about 60 people to our house for the party. She will be meeting many admirers. Sloan has met a lot of new people since arriving in Spokane. 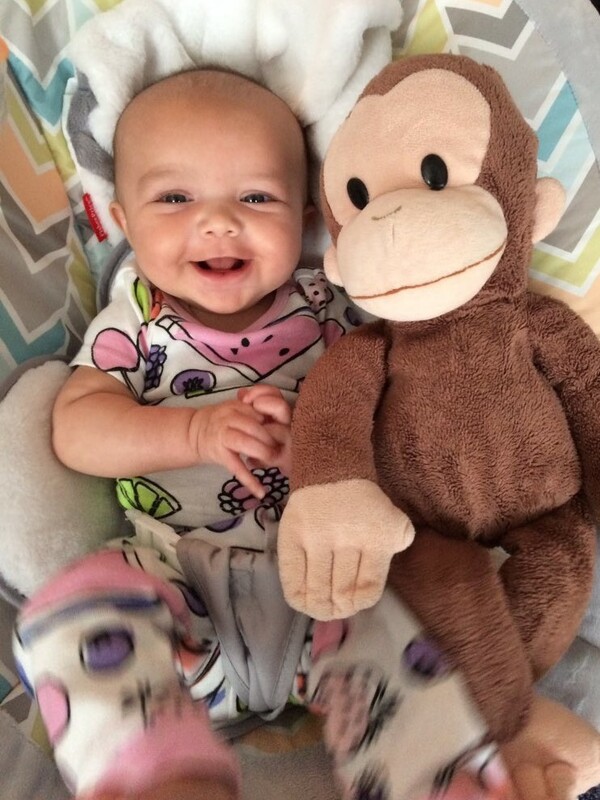 Sloan Photos – Little Sloan is now 17 weeks old. She has matured a great deal as evidenced by her capacity to travel across the country in an airplane (she did awesome). She has loads of personality, an endless supply of drool, and smiles for days. Here is the latest photo collage. 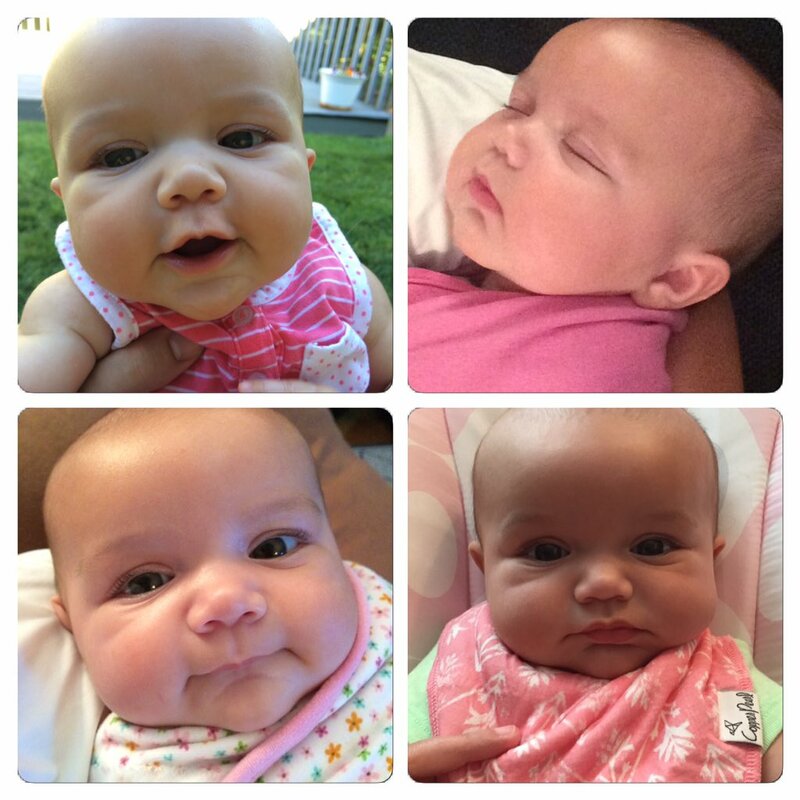 Here is Sloan’s 17 week photo collage. I hope you enjoyed this rare Saturday blog post. Have a terrific weekend and savor up every second of summer. Don’t Blink. It is time to talk about the fun part! Over the past couple of blog entries, I have alluded to a big trip we are taking. However, my writing has focused more on pre-trip logistics such as packing and traveling with a baby. Enough of that! Sidney, Sloan, and I are about to fly to Spokane, Washington, for two weeks of fun and memories. This expedition will have three major components to it. 1. 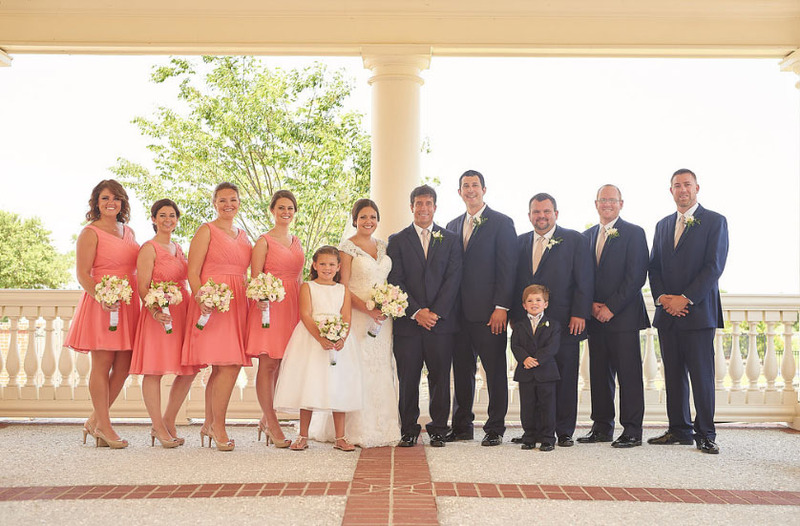 My family will meet Sloan – And we aren’t just talking my nuclear family. Aunts, uncles, and cousins will all have their first look at our beautiful angel. Judging by Facebook comments and texts, I have some relatives who are very anxiously awaiting Sloan’s arrival on the west coast. We can’t wait to show her off and properly introduce the newest Reser. 2. My sister is having a baby!! – This Friday, my sister will give birth to her first son. I was unable to leave Myrtle Beach when Miranda had Mikayla almost three years ago so I feel privileged and fortunate to have this special opportunity. Not only will Sidney and I be gaining a nephew but Sloan will have a new little cousin. Please pray for my sister that she has a safe delivery. 3. 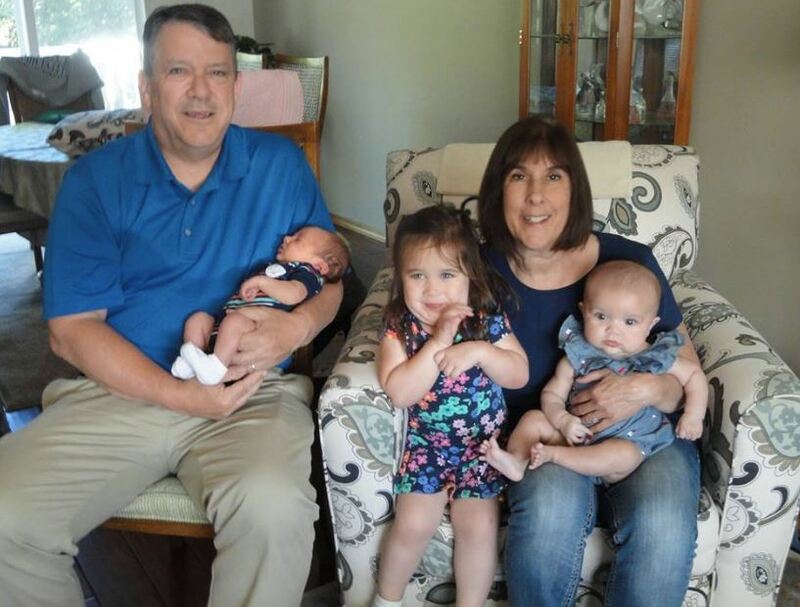 Mom and Dad’s 60th birthday party – Long before Sloan and even longer before Miranda’s happy news, this was the reason we were traveling to Spokane this summer. 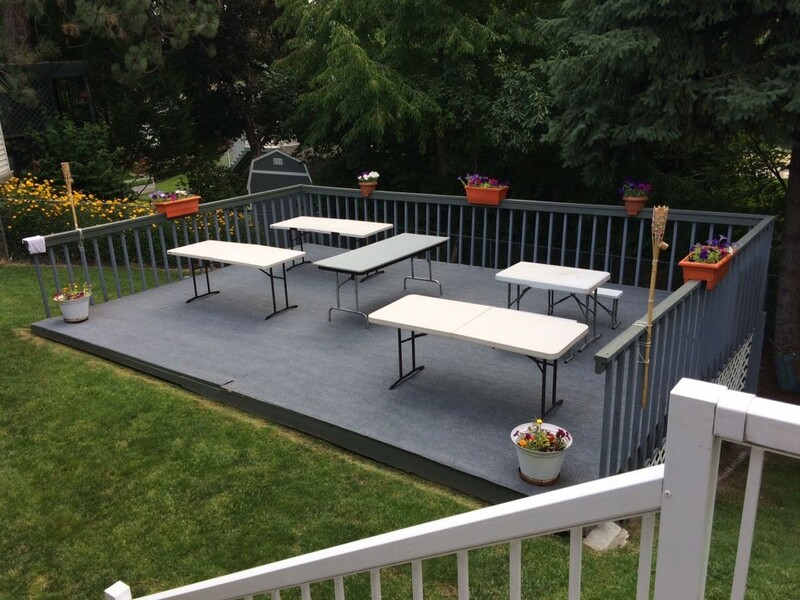 As my parents both have summer birthdays, we are throwing them a joint 60th birthday bash/family reunion this Saturday. Lots of family and friends will attend and we can’t wait to celebrate! It is going to be a fun ride! Like in the past, the path to Spokane will be grueling. We will drive from Myrtle Beach to Charleston. Once at the Charleston Airport we will depart on the cross country flight to Seattle. We will then catch a plane from Seattle to Spokane, arriving at our destination around midnight. It will all be so worth it. If you are one of my Spokane readers/friends, feel free to reach out! I am honored to head back to the city I was raised in and introduce Sloan to her “home away from home.” Don’t Blink. Going on a vacation, especially an extended one, can be stressful. Our family will leave this side of the country for two weeks starting tomorrow. However, don’t think our preparation for what will be a very memorable trip started tonight. Truth be told, I started preparing early last week. Same with Sid. In fact, last Tuesday, she was already compiling a packing checklist for Sloan. That is what it is all about, my friends…checklists. My secret to getting organized prior to leaving is to jot everything down in checklist form. Items to pack? Checklist. Chores to do around the house before departing? Checklist. Documents and itineraries to place in a folder? Checklist. I usually start compiling these lists 6-8 days before I leave. Now notice how I just say start. I begin the lists well in advance so I can have several days to think about what I need to do and what I need to pack. Because, honestly, who can write down the 101 things that need to be done in one hour? Giving myself 72 hours of stress free planning allows my brain to recall everything that needs to be done. Then, with 2-3 days remaining until takeoff, I actually start to physically pack and get tasks done. Working off a thorough and complete checklist with plenty of time to spare removes most of the pressure. How nerdy am I? 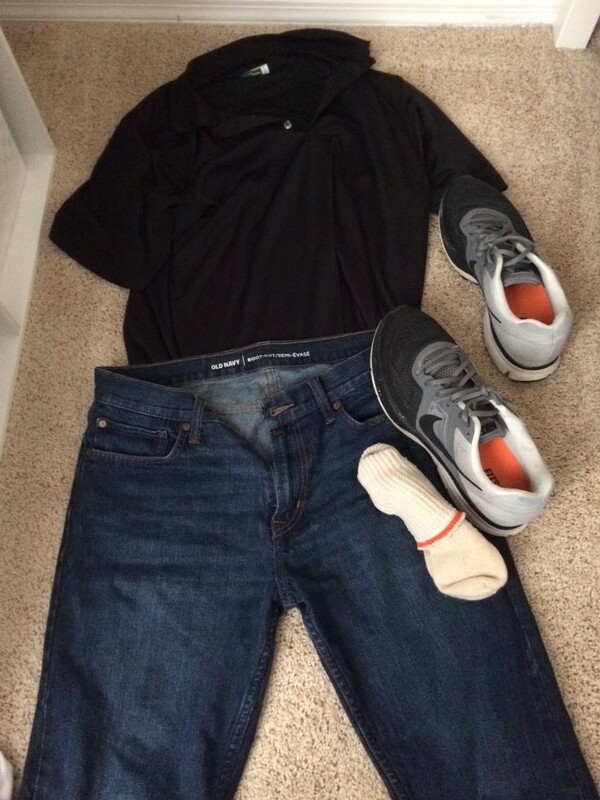 I already had the clothes laid out that I would change into after work on Wednesday. You know what else relieves pressure? Having a great wife! As I mentioned above, Sid is not just packing for herself; she is packing for Sloan too. I am extremely thankful for all the work she has done to prepare us. Not unlike preparing at home to go on a trip, prepping to leave work for two weeks is extremely daunting as well. I have worked ferociously over the past week to put myself in position to enjoy my time off without worrying too much about my job while in Spokane. Again, checklists have proven key to keeping me on track and relieving me of anxiety. At this point, because of great support and detailed content calendars, I am ready to step away from Coastal Carolina for two weeks so I can have some fun out west. Granted, we will still be putting finishing touches on our preparations this evening. However, we won’t be running around with our heads cut off. I will be working half the day tomorrow before we start our travel itinerary. I am confident that I will be able to drive home after work completely relaxed and ready to go. Yes, being prepared to go on vacation can be a lot of work. But the time put in is more than worth the fun, joy, and memories that are made. This trip especially will provide us with an extremely favorable return. I can’t wait! Today I ask for important advice from my readers who happen to have children. In just a few days, we will take Sloan on her first ever plane ride. We certainly are not easing her in. Sloan’s maiden voyage will be from Charleston, South Carolina, all the way to Seattle, Washington. She will be in the air for at least five hours and that doesn’t even include time before takeoff or the time it takes to taxi over to the gate once the wheels go down. Perhaps Sloan should bring George with her to reduce her anxiety on the plane? Because the airlines most likely won’t give us any assistance after the blog post I wrote last week, I must turn to you guys. I have already inquired some friends on their best tips but we could use all the help we can get. I am looking for insight that goes beyond the basic Google search or the cliché encouragement to bring ear phones and candy for each passenger on the flight. 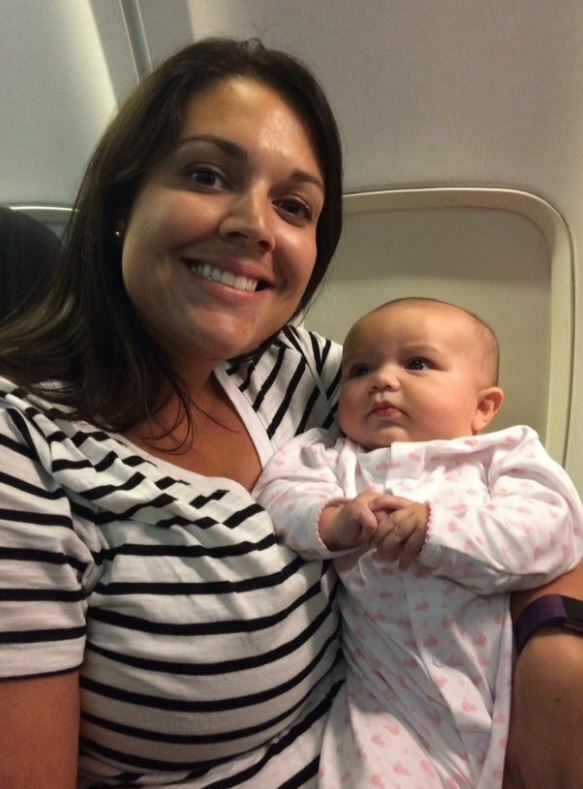 If you have ever taken a baby on an airplane before, what was your experience like? More importantly, what techniques did you use to make the flight as smooth as possible for both your child and yourself? I am preparing myself by going through a bunch of scenarios in my head (Sloan throws up, she won’t stop crying, she goes #2 in her diaper) and asking myself how Sidney and I will react. However, I need more than just mental prep. Any help you can give would be very much appreciated. You can comment below this entry or you can comment on my Facebook post regarding this topic. Thank you for the help and I hope you are having a great Sunday! Don’t Blink. My Wife Making the Today Show – Hold up! I thought I was the social media expert in the family. Apparently not. 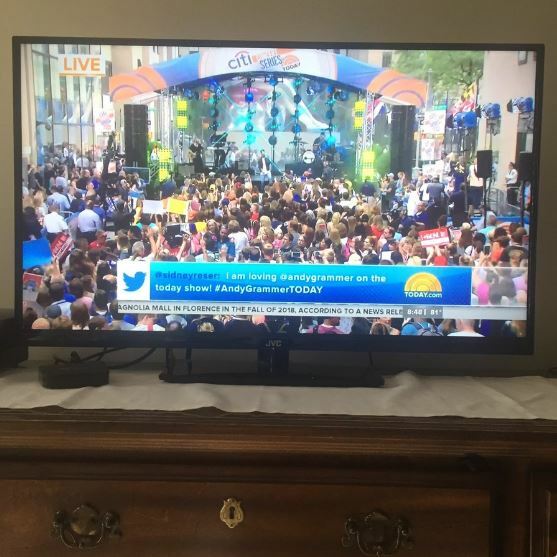 Two weeks ago, my wife made the Today Show with a tweet she posted about Andy Grammer. Yep, there is the Reser name plastered on national TV for millions of Americans to see. Even though I wasn’t the one who managed to have my social media post published on a popular morning show, I am still proud of Sidney. Fashion faux pas – How embarrassing! I wore the exact same shirt a year ago on this date. Timehop pointed out this blunder to me and I decided to make light of the situation by taking a similar selfie this morning. What the heck was I doing in the original photo? I really don’t know for sure, but I think I was modeling my wedding ring for my wife. This selfie culture is getting out of control! 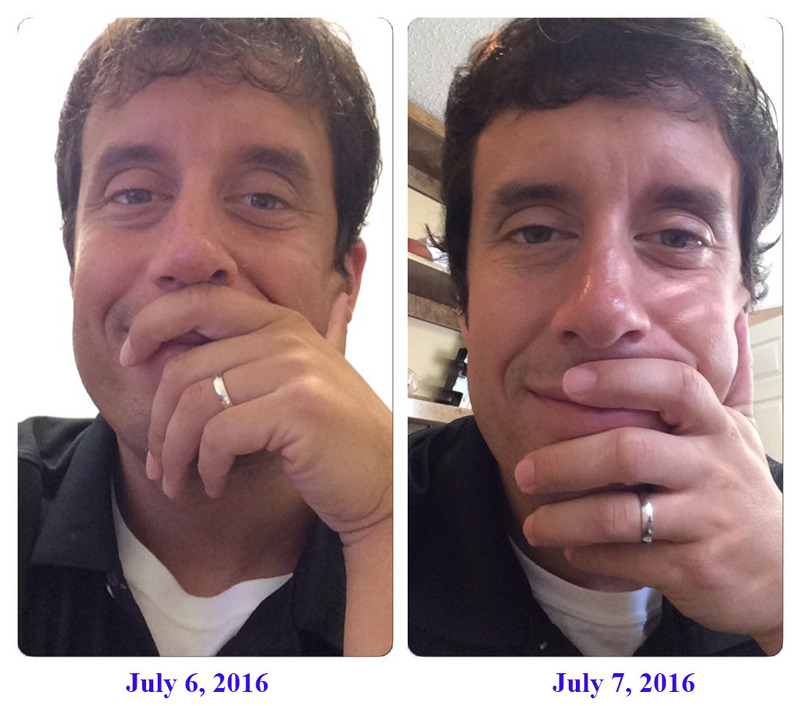 Yep, definitely wore the same shirt today that I did a year ago (I know you might be saying “How can we be sure?” Trust me….it is the same shirt). Popcorn – While at the store the other day, I crossed paths with this curious variety of popcorn. I couldn’t fight the impulse as I bought the bag. For a measly $1, it really wasn’t that bad. Have you ever ate Smorz cereal before? That is what the popcorn tasted like. Candy coated with tiny cookie pieces thrown in, it was a nice little snack to munch on. 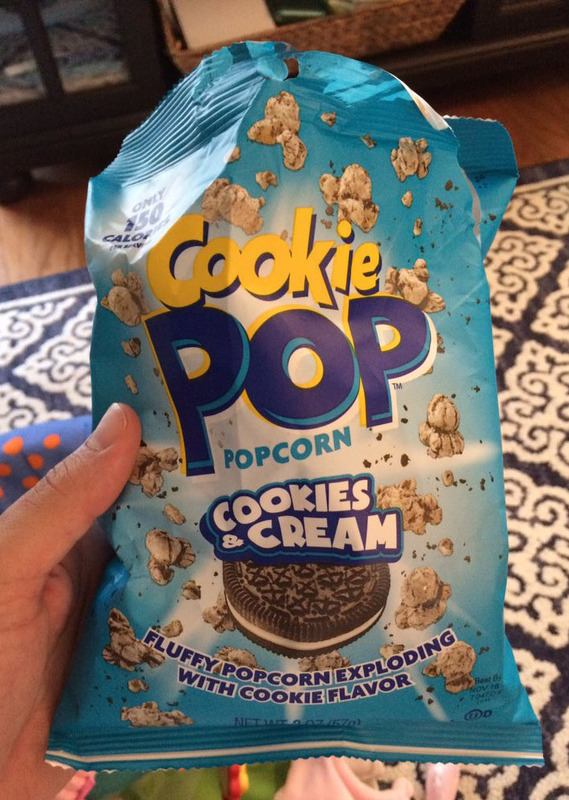 For $1, this Cookie Pop popcorn was pretty good. 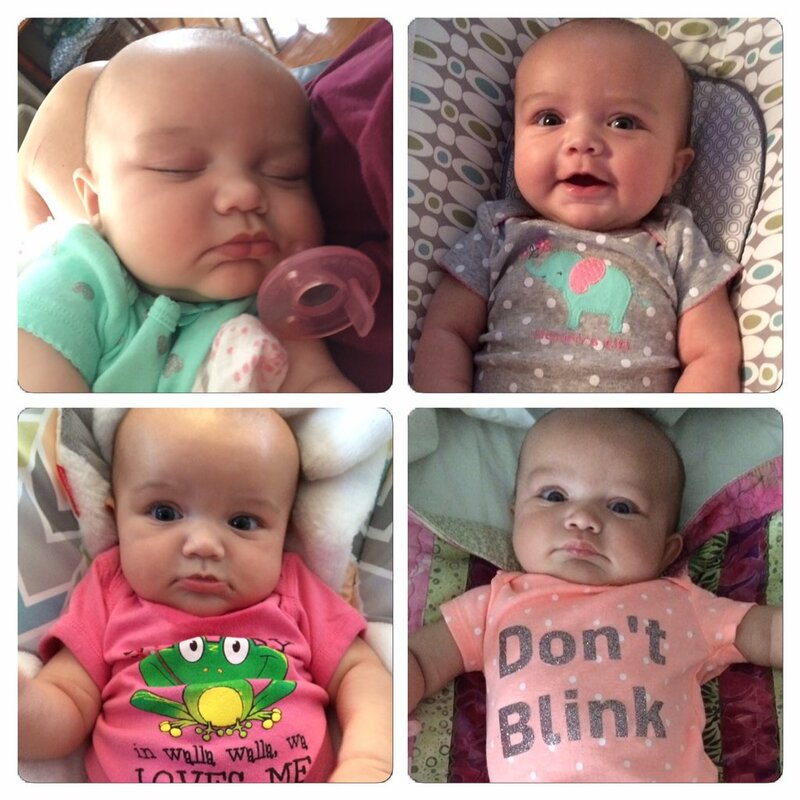 Another Week, Another Collage – Sloan is gaining weight! She is 13 pounds on the dot. Her favorite singer is Ed Sheeran evidenced by how her eyes don’t leave the screen when he performs on TV. She will babble for minutes and she greets us each morning with the sweetest smile. She turns 16 weeks tomorrow. Below is the her latest photo collage. This is the latest Sloan collage. She turns 16 weeks tomorrow. How Did Your First Half of 2017 Go? – On July 1, the second half of 2017 officially started. I hope everyone had a great first six months. For our little family, it was a time filled with SO MUCH. We were given the greatest gift ever and experienced an endless amount of joy. We also faced some challenges along the way. It will be interesting to see if the next half of this year is as crazy, unpredictable, and glorious as the first. It definitely has a lot to live up to if it wants to rival January-June. Okay, I am not sweating as much now. Much love to all my readers, I hope you have a terrific weekend. Don’t Blink. Last night, Sidney and I went to the top fireworks store in Myrtle Beach. Wanting to just pick up some sparklers and smoke bombs for our niece and nephew, we hoped to just run in and run out. Did we really think it would be that easy on the Fourth of July? It was quite the sight at Phantom Fireworks. We pulled up to the busy parking lot to see people spilling outside of the store’s entrance. Once we finally made it through the door, the real shock set in. It was hotter inside the building than it was outside! People upon people picked at the shelves as lines at the checkout registers snaked back all the way through the aisles. Before joining the masses in Independence Day procrastination, security intercepted Sidney and I as we walked in and directed us to a table where we had to show our IDs. 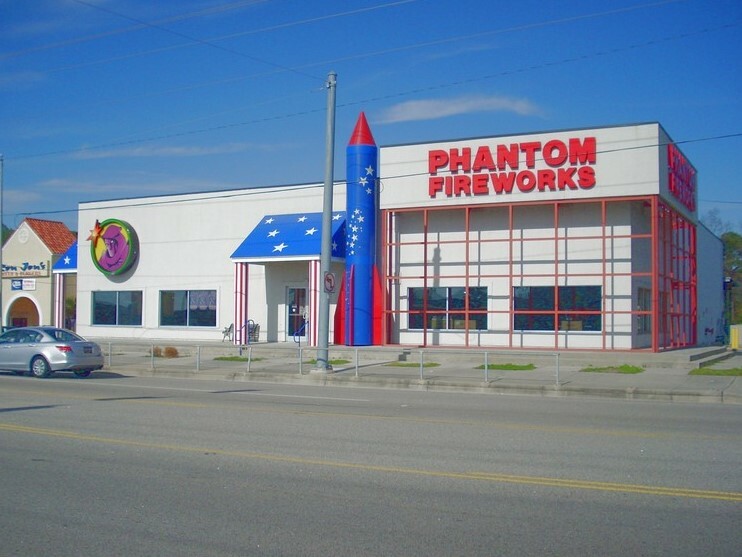 This is what Phantom Fireworks looks like. This is just a random image from the company’s website so it doesn’t show the scene from last night (photo courtesy of Phantom Fireworks). Once free to browse the pyrotechnics that seemed to be flying off the shelves, we did our best to quickly get what we wanted so we could start camping out in line. As the sweat dripped from my face while Sid and I waited to pay for our $25 worth of product, the true madness of the scene inside Phantom Fireworks became evident to me. People were pushing shopping carts overflowing with fireworks. I kid you not. Dudes had carts filled to the brim with expensive variety packs, large fountains, mortars, boxed items, oversized packages of firecrackers, and more. They had so much inventory that they needed someone to help them push and someone else to navigate. It was insane. What was even more insane was a dry erase board located at the checkout area for all to see. It had a section for “biggest spender of the day” and “biggest spender of the season.” Next to the proud person’s name for the “day” category was a figure that exceeded $4K. The biggest spender of the “season” was just shy of $9K. I am not criticizing anyone who has the means to nonchalantly purchase every type of rocket in the store for one night of firework mania. I am just pointing out that there are people out there who really have a passion for the Fourth of July and make no qualms about showing it, no matter how much of their disposable income they might blow. For the record, we had a fabulous time lighting off our “kiddie” fireworks with Russell and Harrison. In fact, I almost felt bad. While we laughed and cheered as we lit off our minimal purchase, I cranked my neck in all directions as I watched the top of the line fireworks shoot through the air around the neighborhood, the beautiful colors and glorious explosions not costing me a dime. Thanks to all the “biggest spenders of the day” for the added enjoyment. Don’t Blink. Probably the biggest knock on my blog is that I am too positive. Sorry, not sorry. When you have so many positive things to write about and you are an optimist by nature, what do you expect? However, let me shift to the “dark side” just for tonight’s blog post. I am fed up with airlines. Maybe it is just bad luck on my end, but over the past three years I have seen way too many flights delayed and/or canceled. Now I can understand blizzards and hurricanes throwing wrenches in air plans but this has hardly been the case. When flight conditions are pristine, whether it be in the middle of the summer or during a time on the calendar where the nation is enjoying stable weather, it seems like more and more are getting canceled. Why is this? The airlines never tell you. Okay, fine, let me give the airlines the benefit of the doubt. I know certain conditions must exist beyond our wildest imaginations that can make a flight extremely unsafe. Thus, the numerous times flights are canceled for seemingly no reason whatsoever, there must in fact (well at least I hope) be a reason. However, although there might be a reason, there is rarely any accountability. I have flown airlines where our entire itinerary was ruined and we didn’t get so much as a voucher or a complimentary hotel stay so we didn’t have to spend the night on the airport floor. Other airlines have provided us with decent customer service and travel vouchers. Unfortunately, the vouchers were for such a small amount that all they served as was a gimmick for us to fly that airline again at just about full price. When flights are canceled, the economic impact on the traveler is immense. You waste vacation hours, give up work wages, spend money on hotel/ground transportation, lose out on tickets/reservations you already purchased, and increase spending on crummy airport food. But for many, the economic punch in the gut doesn’t come close to the disappointment and pain of missing valuable time with the people or places you were traveling to see. Whether you are traveling coast to coast to see family members or you are flying to your favorite vacation spot in the world, an altered itinerary is a crushing blow. Nothing is worse than when all the excitement and planning goes down the drain because an airline decides to cancel a flight at the last minute. So how about this? What if airlines figured out a better way to stay on schedule? What if airlines developed better technologies and protocols to deal with problems that sometimes delay flights? What if airlines try to do a better job for the customers? If such solutions aren’t readily available in the near future and travelers will continue to miss out on vacations or fail to return home at the correct hour, I challenge airlines to make it right from the economic standpoint. Yes, I know it doesn’t satisfy the disappointment that is suffered from a sentimental standpoint but the wallet shouldn’t have to take a hit. If an evening flight is canceled, complimentary lodging at a nice hotel (with round trip ground transportation) should be mandatory. As for the flight that never took off? A round trip ticket good for the entire cost of a flight should be given to anyone impacted by the cancellation. No more of this bait-and-switch voucher offer. I couldn’t imagine life without air travel. The whole concept of an airplane still boggles my mind. Believe me, I value the service offered by airlines. However, for the amount of money that we pay and the trust we put in when we make a reservation with these major companies, a higher standard should be strived for. I welcome any feedback from people within the industry to set me straight on where I am missing the mark. Until then, I am crossing my fingers that I have not jinxed myself. Sidney, Sloan, and I are traveling out west next week and the last thing we need is a flight delay. Don’t Blink.